A big thank you. I am so glad that I have found you. 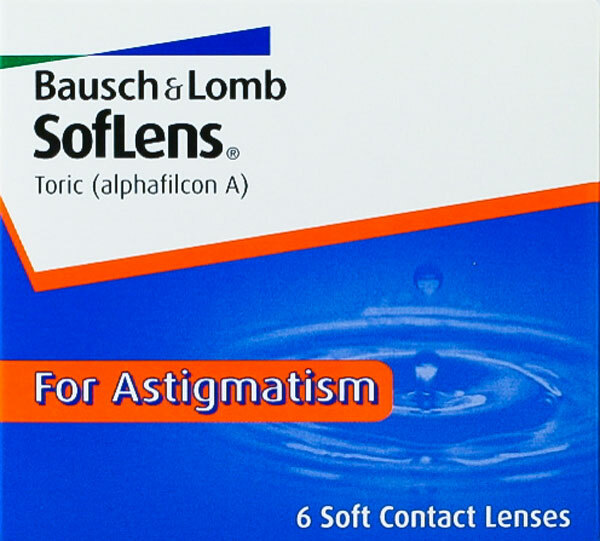 Soflens 66 Toric made by Bausch & Lomb is one of the most popular toric contact lenses for people with astigmatism. Designed to provide long lasting comfort throughout the day, Soflens 66 Toric achieves this through its resistance to protein deposits and high oxygen transmissibility. Clear, stable vision is achieved by using Bausch & Lombs unique Lo-Torque design which uses prism ballast technology to keep the lenses on axis and stable. An increased thickness from the apex to the base of the lens keeps the lenses in place. Soflens 66 Toric is a fortnightly disposable contact lens and is still amongst the most prescribed toric contact lens today.